Yesterday morning in New York City, Gibson Chairman and CEO Henry Juszkiewicz made an announcement that staggered the music world. Juszkiewicz unveiled Gibson’s latest guitar, Firebird X. But press, fans and celebrities in attendance quickly learned that Firebird X was much, much more than any guitar ever conceived. 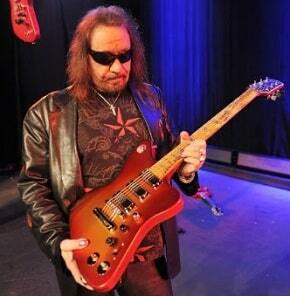 Speaking to an audience that included such guitar luminaries as Ace Frehley, The Roots’ Kirk Douglas, Eddie Ojeda and Jay Jay French from Twisted Sister, Lou Pallo, Russ Paul and others, Juszkiewicz described an instrument light years ahead of anything ever built.